I don't have the words to describe this EP. I've struggled with writing the opening hook to this review at least five times by now, because I don't really think I need to have the words. If everyone listened to ANY track off this album, they would realize how utterly perfect it is. I know, what a ridiculous claim...but stay with me. Live Nation claimed he was one to watch. I say, we've found R&B's newest savior, and I'm willing to put my money where my mouth is. Mac Ayers is a modern day D'Angelo: another ridiculous claim. I thought there couldn't be another, but I was wrong. Forget "blue eyed soul," Mac Ayers is soul. He is R&B and he has done a fantastic job of capturing mood music in 9 single songs. Drive Slow is the debut EP from the 20-year-old New York native. It feels like a sucker punch right to the stomach. The wind is knocked out of you as you try to regain consciousness from every jazz chord change and effortless, melodic riff that drips like honey out of Ayers mouth. He hits high notes that most likely have Robin Thicke shook up. How does he do it? High value production? Autotune? Nope. What I love most about this album is that there is hardly any production on it, just a keyboard with a few programmed Rhodes sounds and old school hip-hop drum samples. At times, Ayers simply sings with the piano, a testament to the quality of his vocals and lyrics. "Easy" is the standout single, a bumping tune that grooves like a drive down any beach roadside, while "Change Ya Mind" and "Show Me" take a more introspective angle, showing us a more tender side of Ayers. My words, however, don't do this EP justice. Again, listen to the music. Go on the journey with Mac. Recommended Tracks: every. single. track. period. PAN staple M.E.S.H. is back with his first album since 2015’s Piteous Gate. Rather than evoking a continuation of Piteous Gate, Hesaitix follows M.E.S.H’s work from the interim, "Damaged Merc" and “Exasthrus” on last year’s Mono No Aware. The most recent PAN releases have had more atmosphere, and Hesaitix only furthers this trend. Especially on tracks 1, 2, 3, and 11 — atmospheres are the dominant element in these tracks. Its a nice change in tone from a label/scene/sound that has predominately consisted of deconstructed club staples i.e. broken glass, gun shots, nasty stretch algorithms, and the like. 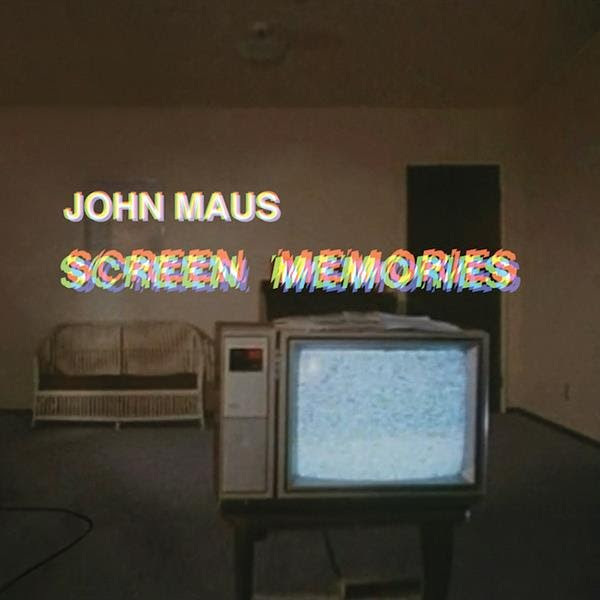 It has been six years since we last heard new material from John Maus, the minimalist synth-pop artist famous from his time alongside Ariel Pink as well as from his solo material. We were last left with 2011’s We Must Become the Pitiless Censors of Ourselves, an album with straightforward and wide-ranging synth anthems. Part of Maus’ draw is that simplicity, and it is often enveloped in his typical dark humor to great effect on the listener. It is impossible to let any sort of introduction to Maus’ work slip by without a mention of his own critical analysis of pop music – his songs are often centered around “truth” and the desire to be inclusive of all listeners, regardless of intellectual background. Combined with his heady interviews, the stark juxtaposition has shaped much of my perception of his work. Recommended Tracks: "The Combine", "Decide Decide", "Pets"
Sleigh Bells sort of gives me PTSD after a few disappointing concert experiences. (They dropped out of Flog Gnaw last minute last year, then I saw them at the El Rey and they didn’t perform Rill Rill…) but I’m willing to forgive and forget because they just released Kid Kruschev, and I’m all about it. They stay true to their gritty guitar sound paired with Alexis Krauss’ delightfully saccharine pop vocals. It’s a formula that seems obvious enough, yet their sound is absolutely unique and identifiable. The first track of Kid Kruschev, “Blue Trash Mattress Fire,” is an absolute treat. It starts quiet and ominous, with just the faintest synth beats and Krauss’ echoey vocals in the background. They edge us for a while, until Derek Edward Miller assails us with his beautifully grainy, railing guitar. The anticipation up to this moment is so delicious. The lyrics, too, are so quintessentially Sleigh Bells as Krauss whines “And the middle of the day on the trampoline/Summertime dreams, Billie Jean/That left stains on the blue jeans” which is a nod to their favorite theme of the awkwardness/romance of adolescence. What I also love about this album is that each song is completely distinct. Unlike other records where tracks tend to blend into one another, each song off of Kid Kruschev is absolutely its own entity. They play with the same vibes and motifs so the album is absolutely a complete, cohesive piece; they are just able to experiment within their specific sound to create something that never bores. Take the transition from “Blue Trash Mattress Fire” to “Favorite Transgressions,” for instance. We go from stripped down synth pop to essentially reworked southern rock guitar licks. “Favorite Transgressions” is also a complete powerhouse of a song, it goes from Joan Jet vibes with classic rock sensibilities, to pure gospel vocals, to Die Antwoord-esque beats. It is a wild ride for its full two minutes 27 seconds.